The Turbosonics ! : The Turbosonics present: "Electric Slim"
The Turbosonics present: "Electric Slim"
February 20 is going to be HOT at Moondog's! 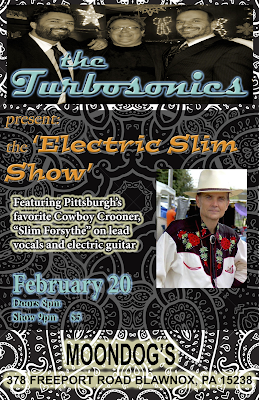 with Pittsburgh's premier surf-rock trio - The Turbosonics!! !